The Transparency International ranking for corruption perception index showed Bhutan achieving is best ever ranking as the 26th cleanest country out of 180 countries and territories with the score of 67 as per the Corruption Perception Index (CPI) 2017. Bhutan was ranked at 27th in 2016 and 2015 with a score of 65 each. The Anti Corruption Commission (ACC) in a press release said this is a significant improvement for Bhutan both in terms of the rank and score as compared to the CPI 2016 and 2015 and is the best result that Bhutan has achieved so far since it first featured in 2006. It said the result is a great stimulus to Bhutan’s unwavering commitment towards preventing and combating corruption and improving the current score to 69 by the end of 12th Five Year Plan. Bhutan has maintained the 6th position in the Asia-Pacific region and is the cleanest country in the SAARC region. 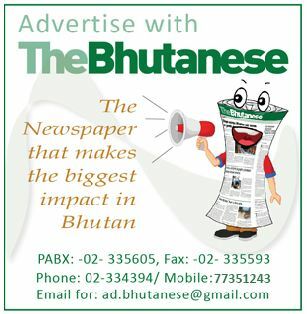 The ACC said that while the global analysis of the index shows that fraying civic space, repressing freedom of expression and restricting civil society participation as some of the major factors affecting sustainability of the fight against corruption, Bhutan’s consistent progress in the CPI over the years can be attributed to unstinted and unwavering guidance from His Majesty the King, strong political will of the leaders and cooperation of all the stakeholders in the fight against corruption. 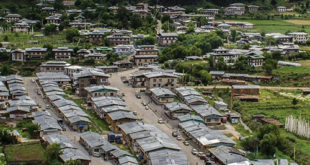 In particular for 2017, the analysis of various data sources used for Bhutan reveal that there has been significant initiatives undertaken on good governance by the Royal Government and relevant stakeholders towards promoting transparency and accountability such as ensuring quality of budgetary and financial management through the initiative of Government Performance Management System; introduction of Performance Management (MaX); increased civil society participation (where Bhutan was scored 0.755) and most importantly improved accountability mechanisms initiated across the agencies, among others. The same data sources (five different) were used namely, World Bank Country Policy & Institutional Assessment, World Economic Forum Executive Opinion Survey, Global Insight Country Risk Ratings, Bertelsmann Stiftung’s Transformation Index and Democracy Projects to construct CPI for Bhutan, like in the past. There has been remarkable improvement in the scores of these data sources said the ACC. The ACC said that, however, Bhutan is not immune to corruption risk and with development it is only going to proliferate. Further, the CPI rank and the score is not a solace as advanced countries with robust good governance system also get succumb to new forms of corruption risk. 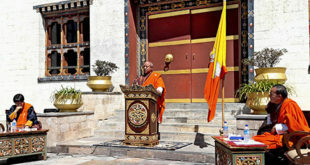 The ACC said that thus, it only reminds Bhutan of the need to further reinforce and make concerted efforts in institutionalizing the anti-corruption agenda in the overall development policies and plan for its long term sustenance and ultimate realization of the goals of Gross National Happiness. TI is a leading civil society organization in the fight against corruption and releases annual aggregate indicator on the perceptions of corruption in the public sector around the world. The Prime Minister said that this TI rank is a great achievement for Bhutan as Bhutan is one of the two Least Developed countries in the top 50 category with Rwanda at 48th place out of 47 LDC countries in the world.